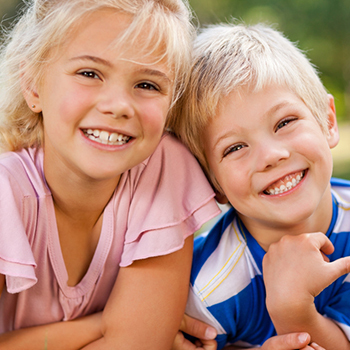 Office Policies - Pediatric Dentist and Orthodontist in Avon, OH. With each visit, your child receives complete preventive dental care --- from fluoride treatments to dietary counseling and tooth brushing instruction. For further prevention of cavities, we also recommends sealants. Especially effective in children without cavities or fillings, a sealant is a plastic material painted directly into the grooves on the biting surfaces of the back teeth, where most cavities occur. Kids will be kids and accidents do happen. To ensure the best care in case of an emergency, please call our office as soon after an accident as possible. We are aware of school policies, which make it more difficult for patients to be out of school for any reason. However, MEDICAL and DENTAL appointments are EXCUSED ABSENCES with a doctors school pass and signature stating the child was in the office. We would like to see all school age patients after school. This is not possible, therefore, to make certain everyone has a fair share of after-school appointments, the following guidelines have been set. Please help us help your child and others by not asking for exceptions. 1. Children under 5 years of age will be scheduled only between the hours of 9:00 a.m. and 1:00 p.m. This leaves after school hours open for older children. When the 5 year old enters grades 1 through 12, he/she too will have access to after-school appointments. 2. Operative appointments for school-age children will be available during morning hours, at lunch or after school two days per week. As much work as possible will be performed during each appointment. 3. All long orthodontic appointments such as putting on braces, removing braces and orthodontic evaluations will be scheduled between the hours of 9:00 a.m. and 3:00 p.m.
4. Repair of broken appliances or braces will be scheduled during school time. 5. Ortho patients are scheduled for adjustments once a month, therefore appointments will alternate. One month the appointment will be after school; the next month, during school. 6. Coming late for an appointment may require rescheduling so we do not keep other patients waiting. Please call if you are going to be late. 7. If for any reason you fail to come or cancel an after school appointment, the missed appointment will be rescheduled during school time so that we may maintain the pattern of every other appointment being after school. Your cooperation in complying with these guidelines is appreciated. We are concerned about school policies and believe these schedules will best benefit every patient. It is our desire to serve each and every one of you without causing your child to miss extensive school time. We appreciate your choosing our office for your child's dental care. We appreciate your choosing us to provide your dental care. Because we value our relationship with you and believe that the best relationships are based on understanding, we offer these clarifications of methods of payment for services. We ask that you pay the cost of the initial examination on the day of that appointment. Because most insurance policies have an annual deductible amount, it is likely that the fee for the examination will not be covered. We will promptly refund your payment if your insurance carrier pays. Payment in full by cash, check, or charge card at each appointment as service is rendered is requested. We accept MasterCard and Visa card. After receipt of a predetermination of benefits from your insurance carrier, we will accept payment for treatment in excess of $75.00 directly from the company. However, if we do not receive payment from the company within 5 weeks after the submission of a claim, you will be expected to pay for all dental services. In the event of a duplicate payment, you will be reimbursed. Even if you have insurance coverage you are responsible for payment of your account. We will be happy to help your receive the maximum benefits available under your policy; however, please realize that the relationship is between you, the insured, and your insurance company. Payment plans may be set up for out patients without dental insurance. If more than $300.00 of treatment is required, payments can be made utilizing E-Funds (an automatic debit from your checking account) or through Care Credit. If a payment plan is agreed on, you will be asked to sign a financial agreement. Payments are due when statements are received. A 1.5-% service charge will be added monthly to the unpaid balance. Computer prepared statements are mailed monthly, usually by the 25h of the month. If there is a balance on your account, you will receive a statement regardless of the date on which treatment was rendered. If insurance is pending, you will receive an interim statement to let you know that the account has not been paid. A service charge will not be made until payment has been received from your insurance carrier. If you require credit for longer than 90 days, you may talk with us about Care Credit or make personal arrangements with your bank or similar lending institution. Half the cost of an appliance or prosthesis must be paid when impressions are taken. This procedure is necessary because our office must pay a portion of laboratory costs when appliances are ordered. The remainder of the cost of the appliances is due when the appliance is placed. If the patient is a child, please be aware that the parent bringing the child to our office is legally responsible for payment of all charges. We look forward to years of close association with you as we work together to maintain your oral health. Thank you!